This is the slide deck from the short opening presentation at Thursday's planning meeting. One rendering of one possible version of the project. Three million dollars has a way of changing people's perspective of what's possible. 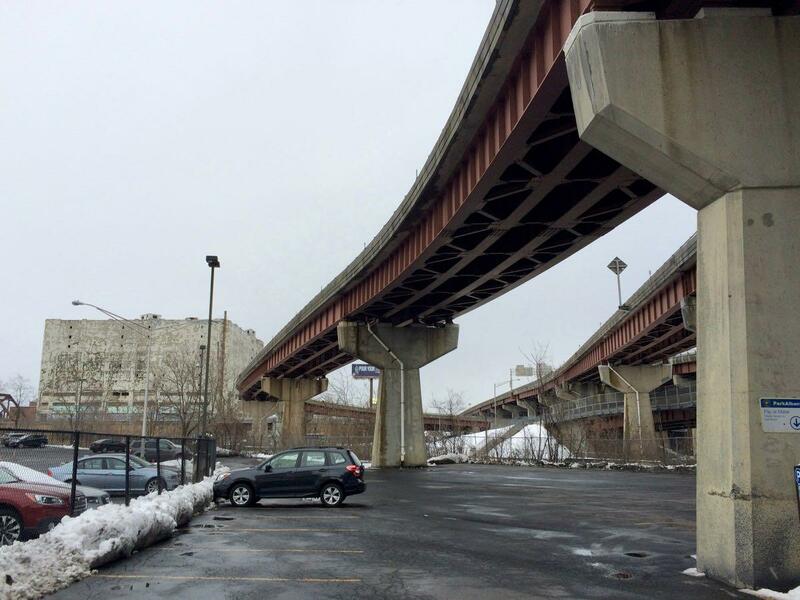 The idea behind the Albany Skyway -- to convert a lightly-used off-ramp from I-787 to Clinton Ave in Albany into a connection between Broadway and the riverfront -- first popped up in plans for the Corning Preserve and downtown four years ago. It was, as mayor Kathy Sheehan said at a public planning meeting Thursday evening, a "sort of pie in the sky, almost dream" idea. The almost dream is now almost reality thanks in large part to $3.1 million in funding the Cuomo administration announced for the project this week, a surprise boost that now has the planning moving forward. "We're in a unique position of starting off on a planning exercise that ... doesn't have have us going out at the end of the day and hoping to make this project a reality," Sarah Reginelli told the crowd. She's the president of Capitalize Albany, which has been heading up the planning. "This project will be a realty." So that's what members of the public, along with all sorts of officials, got together to talk about. Here are a bunch of bits about what people said they'd like to see happen, along with a few thoughts about this project. Slides from the short presentation at Thursday's meeting are above in large format -- click or scroll all the way up. Here's an online survey to gather public input for this project. The packed planning session -- there were easily 50 members of the public -- at the Albany Heritage Area Visitors Center at Quackenbush Square followed a familiar format: a quick introduction from officials; a short overview from Stantec, the engineering firm that's facilitating this phase; groups sessions at which members of the public talk about what they'd like to see and mark up maps with suggestions; and then short group presentations. Multiple groups mentioned air quality and noise concerns related to the future linear park's position next to vehicle and train traffic, and a desire to see measures taken to mitigate exhaust and traffic sounds. 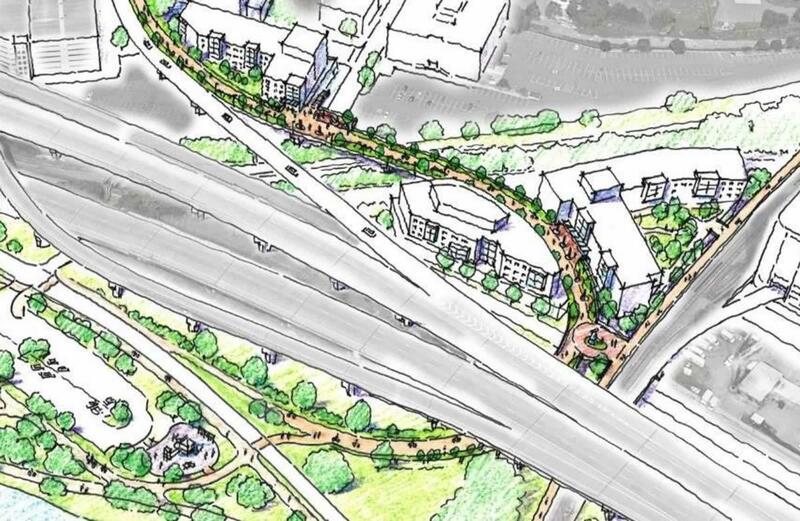 Related to the air and sound concerns, multiple groups said they'd like to see the skyway incorporate greenery, including native plants. One group said they'd like to see the skyway have a park-like feel. And others said they'd like to see place for people to sit. 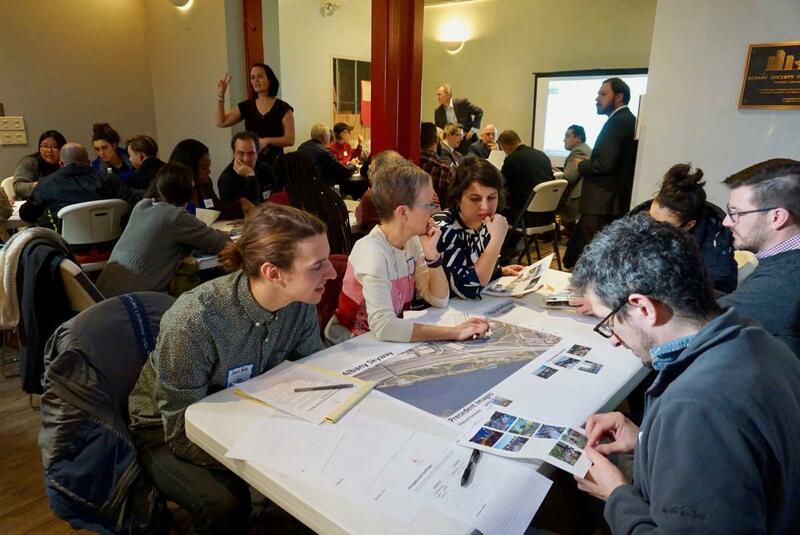 A popular topic was how to connect the skyway to what's around it -- other trails, neighborhoods, local businesses. Martin Daley was there to continue the campaign for a bike/pedestrian walkway on the next Livingston Avenue Bridge, and the idea of somehow connecting the skyway this possible future walkway came up. The ramp is about half mile long and the idea of providing some way for people to exit the skyway at, say, the midway point came up a few times. A set of stairs and an elevator were both mentioned. 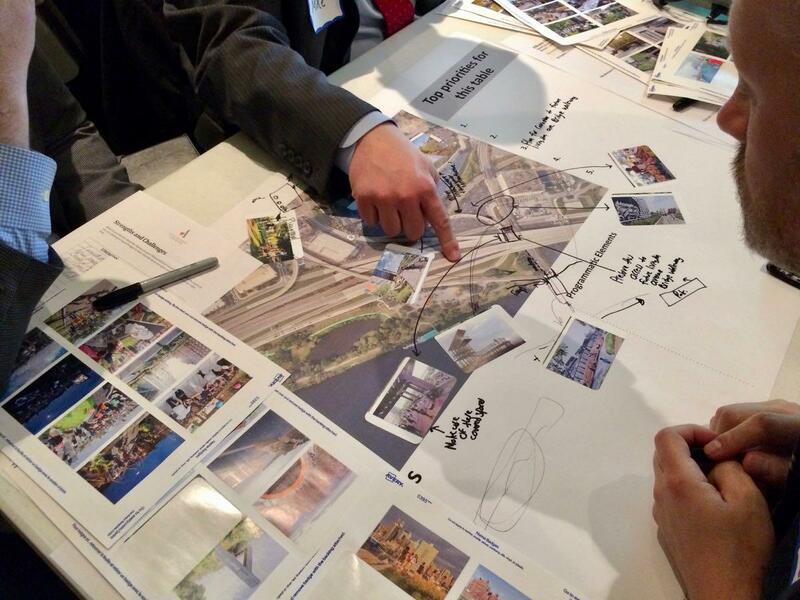 Having things for people to do on the skyway -- programming, in planner speak -- was another popular topic. 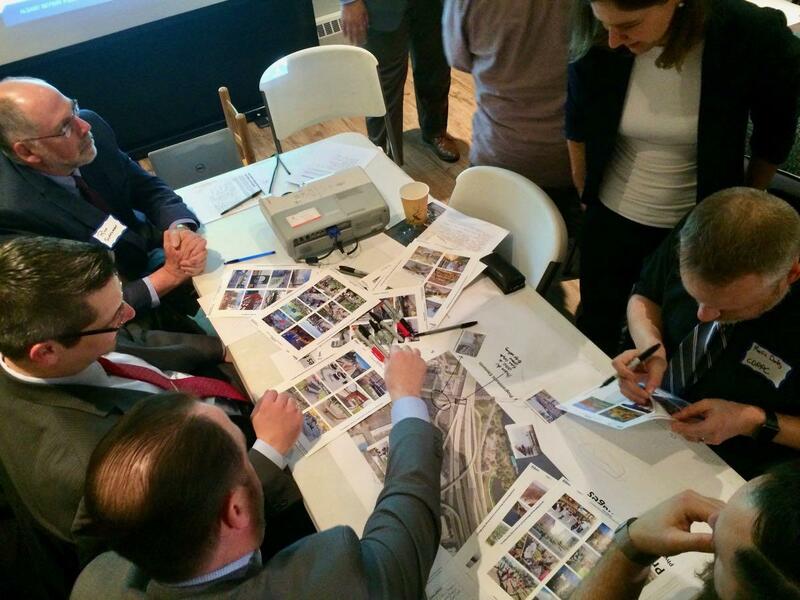 People mentioned ideas that included food trucks, a beer garden, playground-type space, art, and yoga. And there was a desire for attractions that would draw people year round. Also: One group mentioned bathrooms. Safety -- specifically people feeling safe to use the skyway at night -- also got a mention, with a nod toward lighting and cameras. A few quick thoughts we had after listening and talking to people Thursday. Is this a place to be -- or a way to get from one spot to another? There are a few basic ways to think about the skyway. One is that it's a long, skinny piece of park land (a "linear park," the sort of place that people will draw people to hang out for a while or use for activities. Another way to think about is that this is just essentially another bridge to get people from downtown to the riverfront. In reality, the answer will probably be "both." But getting a sense of how people will actually use the skyway could go long way toward figuring out the best way to spend money and resources on various features and amenities. There is a lot already in progress for this section of Albany, with more in the works, including some significant mixed-use development just up Broadway and some potentially important housing revitalization a few blocks up Clinton Ave. And on Thursday officials talked about how they see this project as a way of continuing that momentum. Any public space is going to need maintenance -- and that's especially true for a half-mile park built atop an elevated portion of concrete. And that maintenance will add up over time. So, who pays for that? And how do they cover the cost? It's something that was clearly on the minds of officials and members of the public at Thursday meeting. And we get the sense the answer will probably involve fitting together multiple pieces of a puzzle that include both public and private money. You can't really talk about this project without talking about the future of 787. Mike Franchini, the head of the Capital District Transportation Committee, was at the meeting to give a short a preview of the long-developing 787 corridor study that's set to be released in draft form next week. And his overall message was consistent with what he and others have said before -- the future of 787 is complicated. A handful of people here at AOA mentioned in comments this week that they thought the $3.1 million for the skyway project was a consolation prize for a future that very much includes 787 as it currently stands. And others saw it as a distraction from what they believe should be real goal: tearing down 787. So your view of the Albany Skyway project is probably going to depend in part on what you think is realistic for the future of 787 and the timeframe for that future. Because that will influence whether you think the city should work with the highway -- or instead plan for a day when it's radically different. The open house for that 787 corridor study is Tuesday, March 13 from 4-7:30 pm at the Albany Public Library Washington Ave branch. A summary of the study is now online. With any Ying , there's a Yang so this will eliminate one of the exits? What about security for people walking there at night, cars & to prevent God forbid jumpers ? Yes, indeed who but the property owners in ALBANY will be paying for this? We need new storm drains & sewers in the city of Albany! Why can't the state & Federal Government give important funding to that instead of pretty little parks & bike paths!!!! 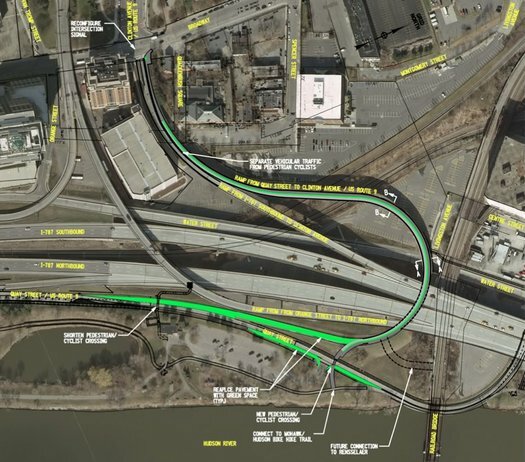 Ramp was designed long ago in anticipation of fill in development on North Pearl/Broadway, Lower Chapel, in Arbor hill, and around Quackenbush Square. The development finally begins and so now the ramp gets closed? Daleyplanet travel times are all way off, I just drove them. He does not factor the increased stress and time in consequence of stop signs, lights and traffic to get off 787N to Pearl and Clinton. I have been around the High Line quite a few times. Lots of tourists/money, all well and good (unless you ask the High Line visionary Robert Hammond, who calls it a failure). That was a disused railroad viaduct. Do you think the engineers of this existing ramp did no traffic or population or development studies? Find a better, easier, cheaper way for people to walk from Downtown to Corning Preserve that does not screw the long time residents of the area. Albany continually changes the channel from the news to the Disney Channel. All this bread and circus nonsense just kicks the can of the city's real problems (and what should be its real priorities) down the road, or even under the rug. All you niceness bullies can call me a negativist and curmudgeon, but this, the gondola, the aquarium and all the other peppermint-flavored diversions are just shiny, smiley avoidance toys. Our roads are treacherous, our sewage and water systems are older than Larry King, and our city is rife with red-X zombie houses. I realize the futility of caring, because I'll never live long enough to see the kinds of change Albany needs, but for some reason I really do. Sorry for the rant. Have fun wasting three million dollars. This "pink elephant", 787 evolved after it was deemed impractical to use the egress off of freebie 90 @ H.J. Boulevard to begin the project of burrowing underground through Washington Park and turning left to engage the existing cluster of the highway to nowhere currently under the ESP. this is yet another far flung idea such as the footbridge built years ago to connect the park with Broadway. I've heard the propaganda about boosting tourism to Albany and I think that is ridiculous. Take care of needed infrastructure instead. This is merely lipstick applied to a pig. This is a great way to add an additional connecting path to the waterfront. Additional development should focus on making the waterfront more usable and connecting it to the rest of downtown. Completely agree with Al Q. Probably should add the Casino on the list. Say this out loud "a half-mile park built atop an elevated portion of concrete." - Half the year covered in snow by the way. There already is access to the "waterfront" almost right below this ramp. What problem or improvement is this project trying to fix? There isn't one. The DOT wants rid of this ramp so have them knock it down and re-purpose the space created. Beer garden? Getting people good and drunk on a bridge is always a good idea. Thanks, James for the driving feeback. I'll have to do it a few more times and see if that extra minute I experience was an anomoly. DOT will be providing model data for traffic and travel times. Yes, the need for vehicle access to new development is a concern. However, when this facility was constructed, Albany's population was nearly 130,000. We have fewer than 100k today. As many other folks state the city has been decimated by vacant housing and neglect. How do we add more people? What do these people want? Hammond called the Highline a "failure" because his vision was for a park that attracted neighborhood residents and 300,000 visitors a year. He's been unhappy with it's magnet as a tourist attraction and a beacon for reinvestment. Funny thing on the dynamics of the opposition for the Sjyway is, there's a large contingency of people that will say it will fail because it won't be successful. The highline was TOO successful in some people's minds. I get the feeling like this will fall in the middle and things will out. The funding line for this project has not yet been shared, but because it's being managed jointly by OPRHP, I'm willing to bet the line is coming from the Parks budget. State parks does not pay for local roads, or buy private homes or pay for sewers. In fact, the State contributes less state aid per capita to Albany than any other comparable city in NY. So when it comes advocacy for roads, and sewers and NCR funds, let's keep doing that - but the funding for this project does not come at the expense of those projects. If this does spur residential and commercial growth, like the Highline did, then the city wins in tax revenue - revenue that does go to local roads, local sewers and local programs that address blight. Happily, this project represents some local control over the future of 787, even if an a tiny way. That's something. At the end of the day, DOT isn't going to keep the ramp. Demolishing it would cost a substantial sum, and net nothing. Now new developable land, no connection between the city and the Livingston Ave. Bridge. no amenities that will help drive an increased demand in this area for location of people and services. I completely agree with Al Quaglieri above. This is utter nonsense. I am excited for the day all the naysayers eat crow. You all grumbled and complained about bike share. Bike share was a smashing success and expanding this season. All of this is about creating alternative connections and transportation options. I am writing this as a person that drives on the ramp in question multiple times a week. I am willing to adjust, you should too. DO NOT COMPARE THIS TO THE HIGH LINE. It is a parkified off ramp designed to move people not cars from the river into downtown. The High Line is an elevated park and art space designed to be just that it is not a means of conveyance. "Just tear it down" they say, tearing it down will cost a few million and then what? Why not increase the points of connection and as an added benefit to the statewide efforts to create interconnected trail systems. Regarding investment and infrastructure and urban blight in general, the 3.1 shmil being put towards this by the state is for THIS it is not a blank check that the city is deciding to put towards this. The issues are all interconnected but not mutually exclusive. "I am excited for the day all the naysayers eat crow. You all grumbled and complained about bike share. Bike share was a smashing success and expanding this season. 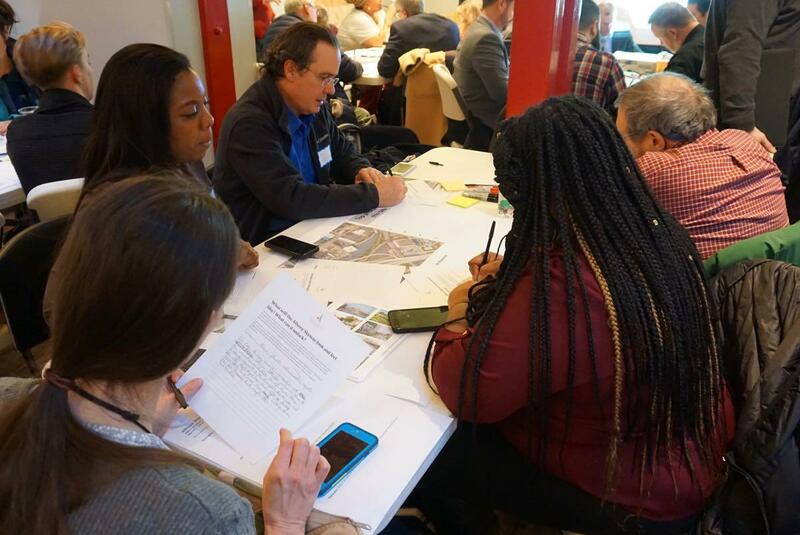 All of this is about creating alternative connections and transportation options." The fact that there was one good idea does not mean all ideas are good. These ideas are all related. If you cant see that you are part of the issue. The overarching negative attitude in this town and area is tiresome. This seems like a great way to introduce a public space into a downtown that needs more of them, and to connect with the one that's already there but hard to get to. We need to give people something to make them want to live in an visit downtown, and this is a way to do so. The beer garden idea sounds great, I would love to be able to enjoy a beer in view of the river without having to travel to Troy.